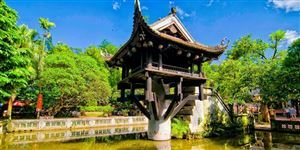 The 7-day trip will give you an unforgettable experience with interesting place sites in the North of Vietnam. 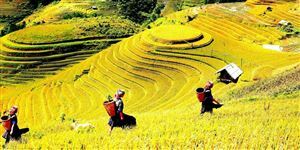 It will bring you to natural landscape to discover outstanding feature in Halong Bay and Sapa. 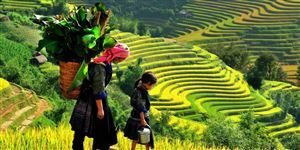 Spend 1 night on Halong Bay at luxury cruise and explore ethnic minority life will make you have a wonderful time in Vietnam. 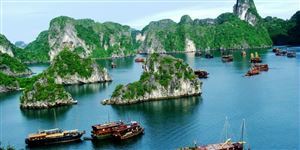 - Enjoy your life onboard cruising in Halong bay – one of the top 7 wonders of the World. - Conquering Fansipan – the highest mountain in Southest Assia. - You will explore the Ham Rong Mountain with unspoiled scenery and spectacular. Here, you can visit many kinds of colorful orchid garden from Indochina area. Passing two Heaven Gate, you will be arriving in the top of Ham Rong is called Pitch Cloud, and have panoramic view of Sapa. Have lunch at a local resstaurant. - After breakfast and check out, transfer to Tram Ton which belongs to Hoang Lien Son natural reservation center at the height of 1,800m above sea level. You will follow the forest path with small bamboo trees along to start your conquering over Fansipan peak. - Visit Fansipan Mountain by the cable car. As you know the cable car in Sapa is the world’s longest and highest cable car, running up from sleepy Sapa Town in Lao Cai Province to the peak of 3,143-meter Fansipan Mountain, known as Indochina’s rooftop. Enjoy the view from the highest point of this incredible mountain. The lush green and subtropical vegetation makes this mountain really very beautiful. - Enjoy lunch at Fansipan peak. After lunch you will have free time to take some pictures for unforgettable experience from the top. - Then get cable car back to Sapa. Leaving Sapa for Lao Cai. Have dinner at Lao Cai local restaurant befor taking an overnight train to Hanoi. The train departs at 9:15 pm. Overnight on the train. The package price are not applied for period of Vietnam National Holidays including: Lunar New Year, Reunification & Labour day (28th April to 03rd May), Hung King Death Anniversary (16th April), Independence Day (02nd Sept), New Year 2017 (31st Dec to 2nd Jan). Compulsory meal on Christmas Eve has not included yet (24/12). Group from ever 15 pax up + 1 FOC for Tour leader (without air ticket) on twin/triple sharing. Special rate will be applied for tour leader going with the groups of under 15 pax.